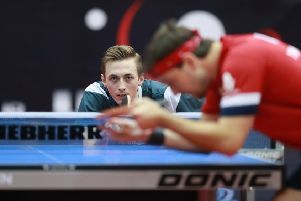 Pitchford had beaten two former world number ones, Ma Long and Dimitrij Ovtcharov, in recent weeks. But he could not make it a hat-trick in Alicante, Spain against Germany’s Timo Boll, who defeated him 4-2 (9-11, 12-10, 11-9, 11-4, 8-11, 11-9). Boll, the current world number four, went on to win the title for an incredible seventh time. Pitchford, who was seeded ten, had earlier enjoyed two 4-2 wins in the rounds of 64 and 32. 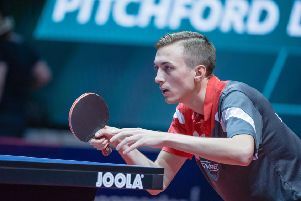 He also competed in the doubles alongside Paul Drinkhall, with whom he won a gold medal at the Commonwealth Games in Australia in April. However, the pair were edged out 4-3 (11-8, 6-11, 11-8, 11-9, 7-11, 11-8, 11-7) by Russia’s Kirill Skachkov and Alex Shibaev in the last 16. Pitchford was also knocked out of the last 16 in the mixed doubles.